This is perhaps one of the easiest desserts, and yet, it’s usually inaccessible to dairy-free sweets lovers. Luckily, a quick ingredient swap yields a dairy free icebox cake that everyone will love. Sarah whipped up a full cake recipe using one of the coconut whipped cream recipes from my book, Go Dairy Free. She also gave it some red, white and blueberry flair for the holidays! 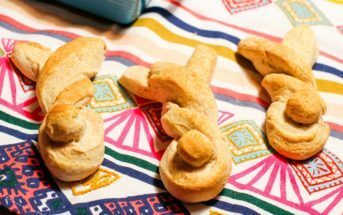 Sarah’s version is perfect for parties or family barbecues, but I wanted something that you could scale up or down for smaller households, or that simply offers a fun single-serve dessert option. So I took her full recipe and made dairy free icebox cake jars! 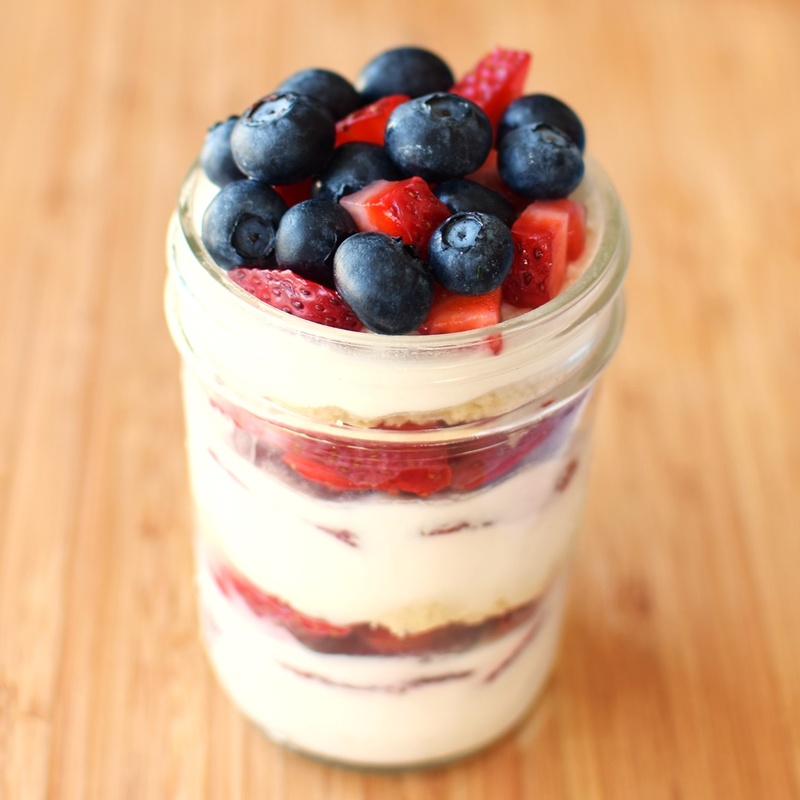 Dairy free icebox cake jars are just as easy to make, and can be kept in the refrigerator for several days, allowing you to grab only as many as needed. The coconut whipped cream you are making for either recipe version is very forgiving. With a dairy-free milk powder on hand you can thicken it easily if too soft, and you can adjust the powdered sugar up or down, to taste. If using ordinary grahams on a full cake, we usually go for it with the sugar. However, if I’m making cake jars with cookies, I use about half the sweetener. That said, when I use So Delicious Original Culinary Coconut Milk, I never have an issue with the whip being too soft. In fact, if you do add the milk powder, it becomes quite thick and holds its own. 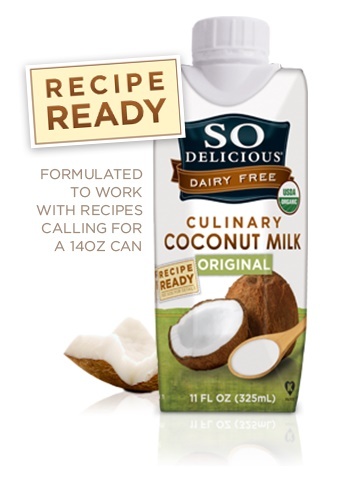 This post is sponsored by So Delicious Dairy Free, makers of the richest darn coconut milk currently on the market. And yes, this opinion is my own. For a gluten free dairy free icebox cake, be sure to source grahams like Kinnikinnick’s S’moreables or Pamela’s Graham Crackers. For a strictly vegan icebox cake, it’s important to know that most graham crackers do contain a touch of honey. There are a few rogue honey-free brands out there, but you can also go the cake jar route and use Enjoy Life Crunchy Sugar Cookies. Please note that you will want to place your coconut milk in the refrigerator before preparation (at least several hours) and that our Prep time doesn't include chilling. The dairy free whipped cream in this recipe is adapted from Go Dairy Free: The Guide and Cookbook. Skim the thick coconut cream from the chilled coconut milk (leaving any watery / pure liquid behind) and place it in a chilled mixing bowl. Add the sugar, dairy-free milk powder (if using), vanilla, and lemon juice, if using). Blend with a hand mixer to combine and lightly whip. Cover and refrigerate while you prepare the rest. Spread a thin layer of the whipped coconut cream in the bottom of an 8 X 11-inch pan. Then cover with a layer of graham crackers, using smaller rectangles to fill in the edges as needed. Top the graham crackers with a single layer of strawberries and blueberries. Alternate the fruit in single-file, red and blue 'stripes', if making for the holidays. Spread half of the remaining coconut cream on top of the fruit, followed by another layer of graham crackers, and then the remaining coconut cream. Cover the cake and refrigerate for several hours, preferably overnight. Refrigerate the remaining strawberries and blueberries separately. Before serving the cake, decorate the top with the remaining strawberries and blueberries. Slice into squares and serve. Refrigerate any leftovers; they will keep for a couple of days. Coconut Milk Note: The So Delicious Culinary Coconut Milk is richer than most canned coconut milks, so you still only need 2 packages, despite the fact that they are a little smaller than coconut milk in cans. It's basically coconut cream! Dairy-Free Milk Powder Note: If you have a very thick coconut whip without the milk powder, and you don't have any on hand, then this can be omitted. You may want to reduce the powdered sugar in half, and add more to taste, if desired. Cake Jar Option: Layer as described above, but into single serve jars. I use Enjoy Life Crunchy cookies (which are round) instead of graham crackers, and trim the cookies with a knife if they are a little too big (will depend on your jar width). What a perfect dessert for a summer party. I just love icebox cakes! Bummer! Well, it’s never too late to celebrate. I hope your new kitchen is a nice one! 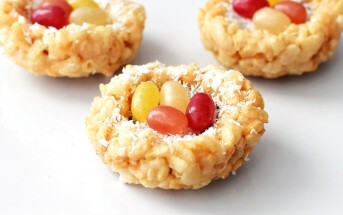 This looks so good…and I love that it is no-bake. This is such a great idea! I never would have thought to make mini ice box cakes! This is so festive and sooo perfect for the holiday and summer in general! Such a beautiful dessert Alisa! I have never heard of an icebox cake. It’s a totally new concept to me. It’s almost kind of like what i would call a trifle. It looks totally delicious though! Yes, it’s like a casual, year-round trifle. Love the jars–individual desserts are so chic! This sounds incredible! Strawberries, grahams and whip is probably one of my favorite things ever! 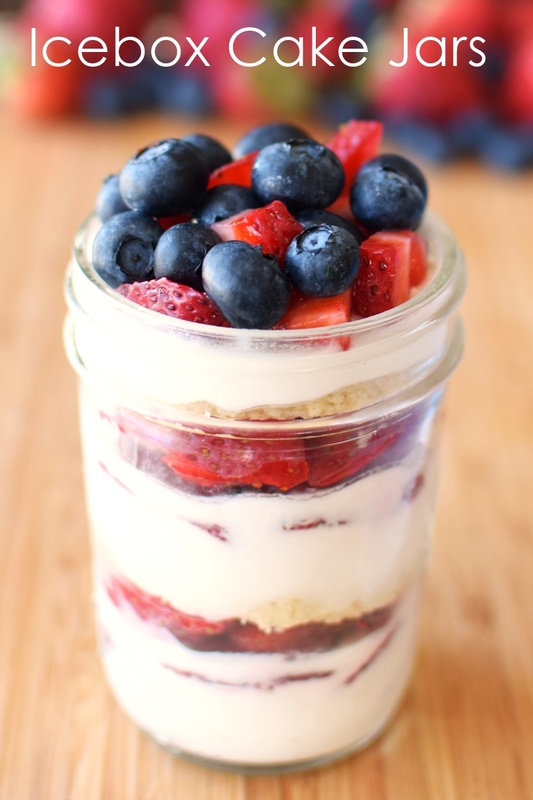 I love the idea for individual icebox cake jars, so fun! That cake looks so pretty and delicious! I really love the version in the jars! I wanna do this for a picnic! I think so, too! Thanks Heather. Thanks Ricki! Happy 4th (and 1st) to you too! Oh my mom makes what are called icebox cookies every christmas, but this looks different. I love the idea and so perfect for the holiday!! 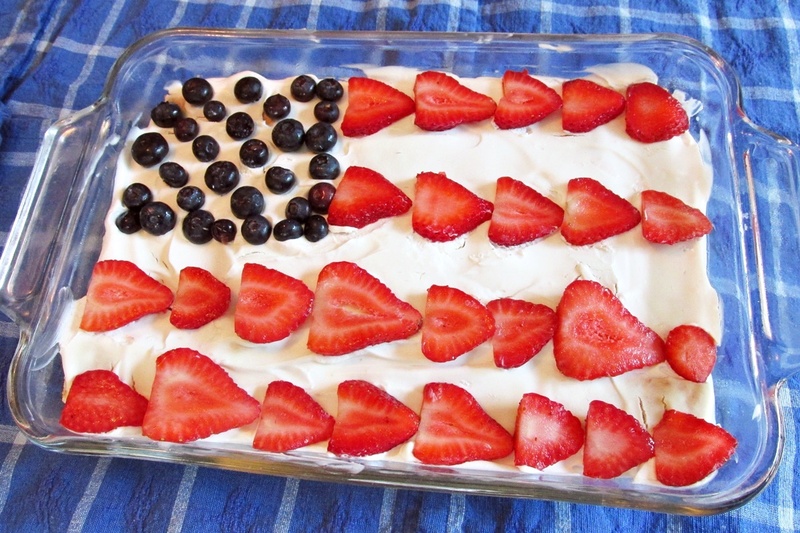 This icebox cake looks like a perfect dessert for a summer cookout!